Join us for a night of acoustic punk/folk rock as we welcome Tobin Bawinkel, Turnspit and Alan Cromwell to the Brewpub. Music starts at 8 PM and will run until 11 PM. No cover. Tobin Bawinkle is the lead singer of the Chicago based Celtic punk band Flatfoot 56 and also leads his other folk/Americana project called 6’10. He has been extensively playing music all over the globe for the last 18 years and has built a strong following for his uniquely gruff style of story telling and song writing. Made of grit, sweat and soulful prowess, Turnspit have been leaning into the Chicago music scene non-stop since their inception in 2014. 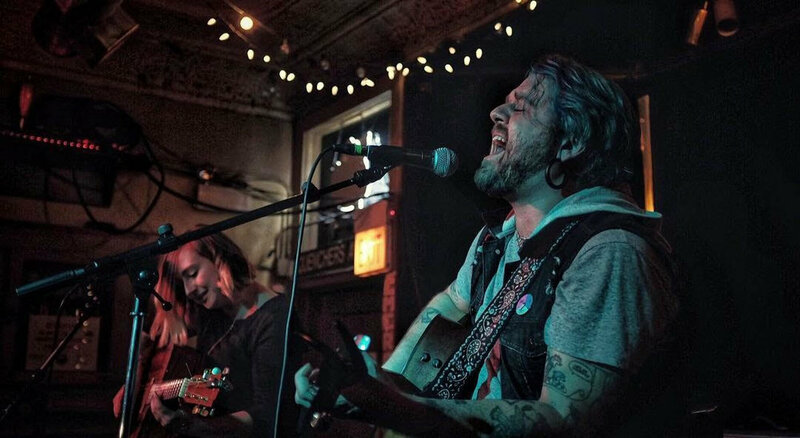 Turnspit weave influences like The Gaslight Anthem and Rise Against into their midwestern punk sound with poetic sensibility and social consciousness. Their debut full-length Desire Paths is out now on Dodgeball Records. Inspired by The Replacements to the Dead Kennedys, Alan Cromwell writes songs for the pre-apocalypse.